Evidence of Meteorites can easily be found in a variety of places. Meteors strike the Earth regularly and finding evidence of such strikes can be rewarding. So, what should we look for as such evidence? Certainly, large impact craters are not likely to have gone unnoticed by others. Yes, there are some, and visiting them can be rewarding in itself, but is pale in comparison with personally finding evidence of a meteorite. Before we get to the search for evidence, we should know what a meteorite is. In outer space we have asteroids and comets. When one of these bodies enters the Earth’s atmosphere it becomes a meteor. Once it is on the ground it becomes a meteorite. Comets are composed of ice and rock. When they near the sun they heat up and form a tail from gases that are pushed away by sunlight and the solar wind. That tail can condense into small particles which can impact the Earth, sometimes even when the comet is no longer around. Asteroids form a double belt between Mars and Jupiter. Some are icy, others are rocky, depending on which belt they are part of. These objects collide with each other, and bits of material can break off. They then go on a new path, which can bring them to Earth. Most meteors are small, but occasionally larger one impact the Earth. A “shooting star” is not a star at all, but a point of light from the superheated impacting body moving at high speeds through the Earth’s atmosphere. The heat comes from friction. Many of these objects are no larger than a grain of sand. Finding an actual meteorite is rare. Identifying one is not always easy. 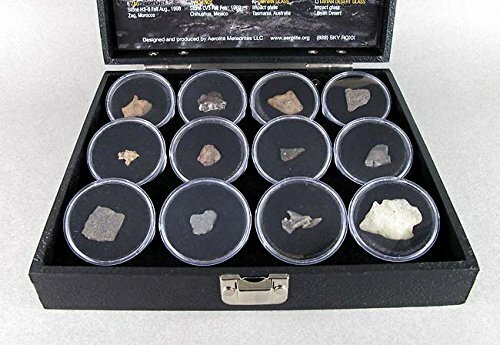 Meteorites come in metallic and rocky form, so there is a variety of types with different appearances. First, the meteorite might stand out as not native to an area. One place they are easily identified is Antarctica. Finding a rock on the top of an ice field begs the question of how did the rock get there? Outer space is the logical answer. Many meteors literally heat until they explode. They do not impact as a single unit. 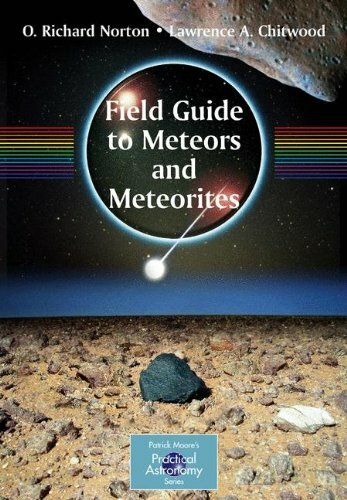 Finding rocks that match known parts of an exploded meteorite in the same area is a good method of finding meteorites. The difficulty is they can burrow into the ground. A metal detector might help if the initial meteor was metallic. 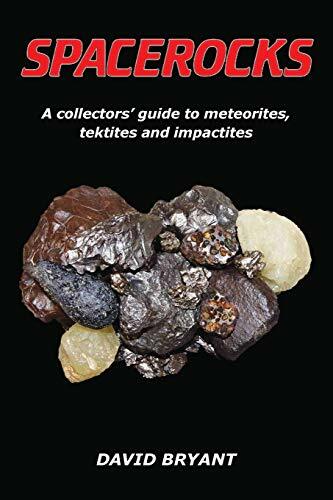 Tektite is sometimes identified as meteorites, but this is a dubious explanation. The more plausible cause of tektite is the rock was formed by an impacting meteor. So it does qualify as evidence of a meteorite. Tektite is a rock that usually looks like a drop. The theory is that a meteor impacted the Earth at a high speed, which is normal. When the object stopped abruptly the kinetic energy was converted into heat, melting the sand on the ground. When the liquid splashed up it cooled and became solid in the shape of a drop, the tail being formed by frictional drag. Often tektite is black, as though it was charred. 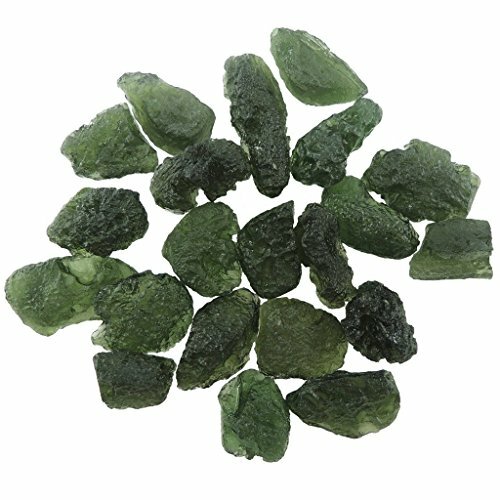 However, green tektite is also found. The mineral olivine, a green mineral found both on Earth and in meteorites, could be responsible for green coloration. Obviously, the impacting material would also liquify. Impactite is a strange rock that appears to be a conglomerate of small rocks found in an area. The idea here is that the when a high-speed object stops abruptly and has its energy transformed into heat, the ground fuses together. The heat does not melt the ground completely, but it may liquify surfaces enough to solidify and fusing material together. 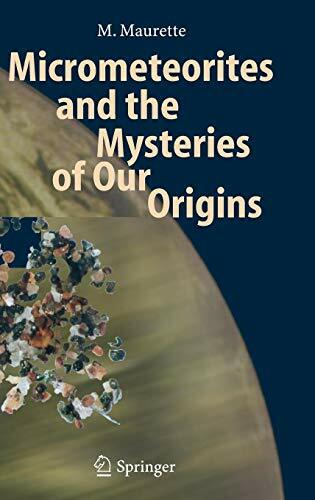 Elements have variations, called isotopes. These occur in known percentages of a sample of the element. These percentages do vary according to the location in the universe where the object formed. So, a rock from the rocky asteroid belt will have a different isotope signature than a rock from the Earth. The equipment needed to test isotopes is not something an individual would have. 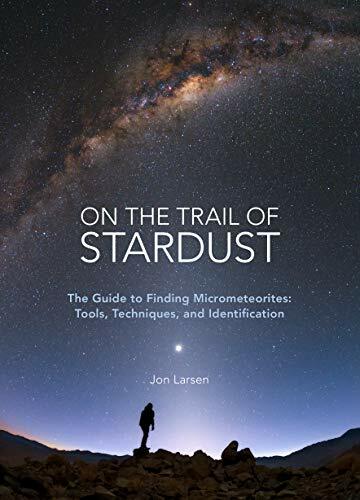 Micrometeorites are small objects that have come from outer space. The metallic ones are easy to identify. When an object liquified, then cools back into a solid, it tries to go into a spherical shape while liquid, and preserves the shape as a solid. Finding small spheres of metal in the air is to find micrometeorites. The method is to capture rain water. Clouds condense on solid particles if such particles are available. The use of a magnet can locate small metallic spheres, which are observed under a microscope. Remember you need to separate the micrometeorites from the magnet, so wrap the magnet in a thin plastic wrap. In the upper atmosphere, the mesosphere, a beautiful thin ice cloud formation occurs. This started after a volcanic explosion in the nineteenth century, and was erroneously attributed to the volcano putting dust and water high in the atmosphere. Now, it is believed micrometeorites can provide condensation nuclei giving the cloud a chance to form, and the ice from comets provides the water for the ice crystals. 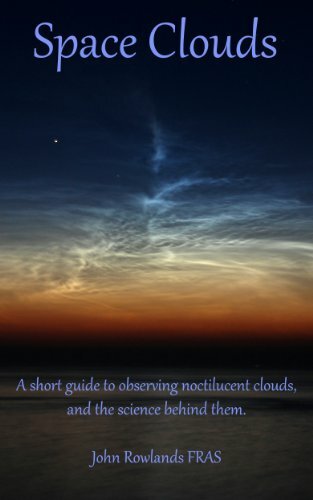 Noctilucent clouds can be takes as evidence of micrometeorites. The problem is these clouds require extreme cold. Over time, they have been observed at lower latitudes, as though there is an equatorial direction creep. The unfortunate reason for their expansion is likely global warming, which actually cools the mesosphere. I have read about chemicals being pushed upward which could cause the cooling. But I wonder how much greenhouse gases are the cause. The atmosphere naturally absorbs some energy from the sun. This should happen as the Earth radiates energy back as well. If that return trip has less energy due to some being trapped below, could not this be a contributor to mesospheric cooling? In either case the current theory is that the expansion of the area of noctilucent cloud sightings indicates global warming. Places like the moon, the planet Mercury, and others have many craters. Some of these are impact craters. How can we tell the difference in an impact crater and a volcano? Yes, volcanos exist elsewhere. A volcanic crater fills with lave, which hardens into a different color than its surroundings. An impact crater looks like a star. Streams of ejected material leave a star appearance where the material lands. So, look at the moon and see evidence of meteorites. I tried without wrapping the magnet. I was not successful. But, one story is that it was a hobby of Einstein. If it is spherical that is evidence it melted in the atmosphere, and re-solidified. 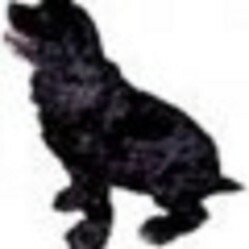 blackspanielgallery, Thank you for the backstories, practicalities and products. 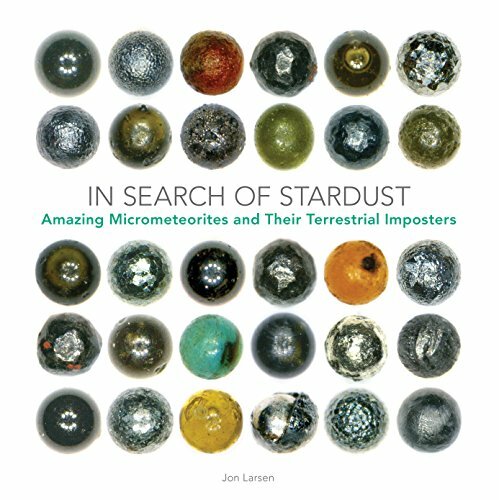 Have you tried the magnet and rainwater methods of searching for micrometeorites? This is fairly new information, I just learned of it in the last year. I believe the icy is the farthest out. They both are in the region between Mars and Jupiter. They are being studied as craft pass through the region to the outer planets. I was unaware that the asteroids formed a double belt.